The Powderhorn District, covering western Oneida County and all of Madison County, is one of four districts in the Leatherstocking Council. The district serves a total of over 700 youth in 45 units. The administrative functions of the district and its committees are overseen by the volunteer District Chairman, and the unit-service aspects of district operations are managed by the volunteer District Commissioner. The professional District Executive advises the district's top leadership, and serves as a sounding board for concerns. Together, these individuals make up the District Key-3. District Committee Meetings take place on the second Tuesday of the month at 7:00 p.m. at the Madison-Oneida BOCES in the Rosetti Education Center. Enter the BOCES complex from Spring Rd and enter the building through entry R2. For a campus map of the BOCES Center, please click here. District Commissioner Meetings take place on the second Tuesday of the month at 6:00 p.m. (prior to the District Committee Meeting) at the Madison-Oneida BOCES in the Rosetti Education Center. Enter the BOCES complex from Spring Rd and enter the building through entry R2. 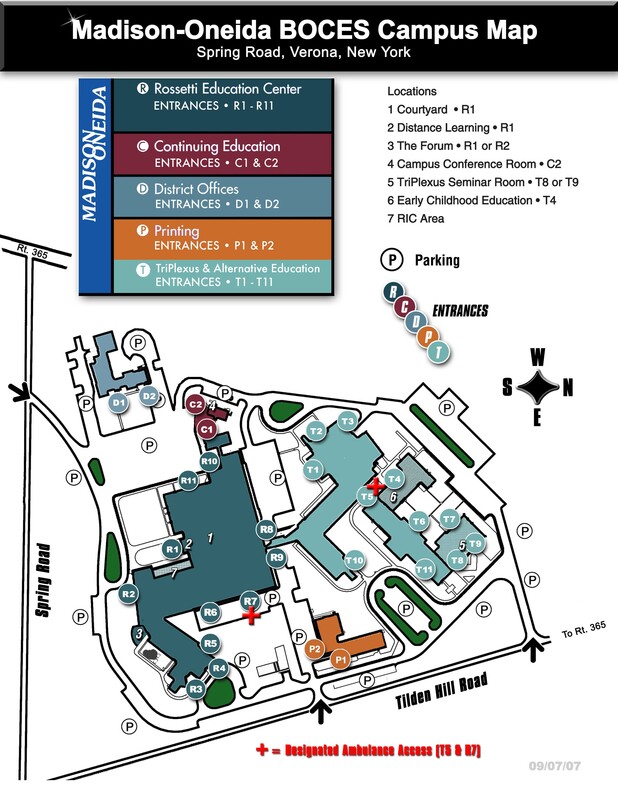 For a campus map of the BOCES Center, please click here.